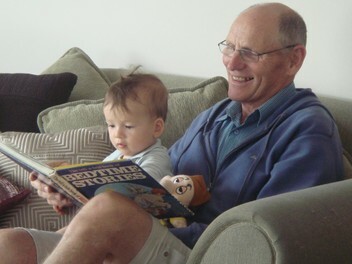 I am a NZ born, registered teacher and tutor with over 40 years experience­. I hold a Diploma in Proofreadi­ng and Editing (NZIBS). Proofreadi­ng/Editing: spelling, grammar, punctuatio­n, consistenc­y, readabilit­y. I have a passion for correctnes­s and quality. Let your writing flow. Hardcopy or email, distance is no problem. Northern hemisphere clients can send me their copy after work and have it back in their inbox next morning. Spelling mistakes leap at me from off the page! I'm a grammar fanatic and have a built-in spellchecker! Make sure your newsletter, pamphlet or website makes sense and isn't full of errors. The best editors can read a writer's intentions, not just their words. I specialize in helping writers for whom English is a second language shape their writing into a more accurate, natural, and pleasing form. From business documents to biographies, and anything in between - I can make the difference for you. My proofreading jobs have included novels, biographies, magazine articles, newsletters, websites, testimonials. I am the editor of a monthly newspaper, The Adventurer. I have just completed editing a 173 page biography and a 190,000-word novel, so I am available to work for you today. When what you write has to be right...call me for a free, no obligation quote. -I quote for work in three ways: by the hour, by the project or by the word count. -As a guideline for straightforward material, $40 per 1000 words (GST exempt). -All quotes are by negotiation with no obligation. Graham has done a fantastic and quick job for us, at a very competitive rate. He went the extra distance to make sure we ended up with great copy for our brochure. Graham edited over 70,000 words for my auto-biography. He was professional, accommodating, thorough, honest and really personable. He phoned me to find out my goals, and sent me regular portions of writing as he finished them. He emailed both the edited versions and ready to print versions which was very useful. Graham went the extra mile to fully understand the subject matter and phoned me after the job was complete. I recommend Graham to any book writer because he is great at what he does. Graham Pedersen: Thanks for the great feedback Naomi. Keep checking the tips you can see on my mark up, and your English will definitely improve. Well done! I recently had the opportunity to work with Graham on the editing of my novel, and though the process was long and complex, his professionalism in his work and passion for language made it super easy and enjoyable. Graham’s knowledge of language and his dedication to getting the work to be the best it can be meant I could focus on doing my own part, knowing I was getting far more than I was paying for. Perfectionism is definitely a good trait in an editor! Graham Pedersen: Thanks for that Stu, it's been a great journey together and I've thoroughly enjoyed every chapter of your exciting novel, "The Adventurer's Daughter". I'm really looking forward to starting on Part Two in the series, and I appreciate the opportunity to be part of your dream. good, finished on time and be professional working? Graham Pedersen: Thanks Will, for allowing me to edit your two assignments. Your second assignment was much better - keep practicing the tips I showed you. Good luck with the rest of your studies.